Kateřina Pavlíková rightfully belongs among outstanding personalities of the Czech saxophone scene. Her wide ranging music activities have playing the saxophone as a concert instrument at their centre. After passing the maturity examination at grammar school she opted for studies of the flute and the saxophone at Jaroslav Ježek Conservatory in Prague (graduated in 2005). As early as in 2001 she won the scholarship competition of Yamaha and CMI Melodia. 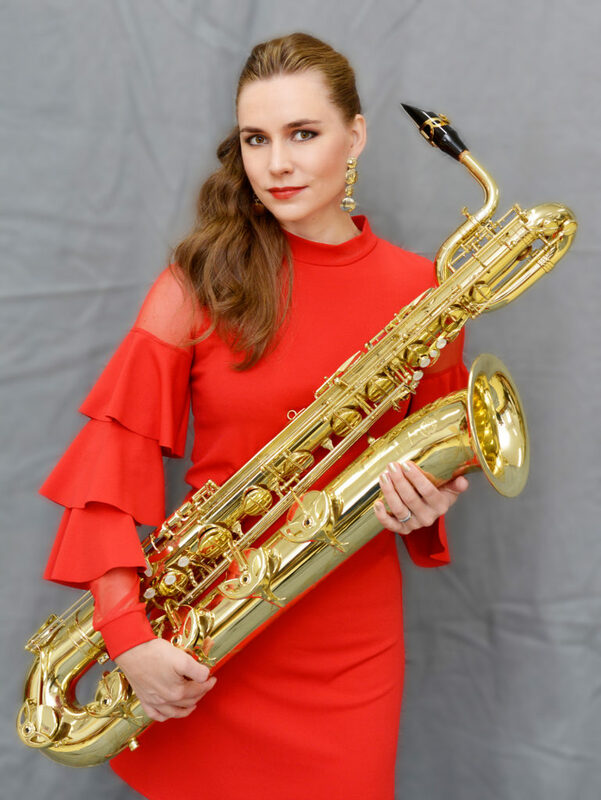 A big opportunity for Kateřina came in 1999 with her participation in Bohemia Saxophone Quartet, a prominent Czech music ensemble, in which she has played the baritone saxophone and performed until now. Bohemia Saxophone Quartet represents an almost unique synthesis of the highest professionalism of interpretation with the widest possible multi-genre dramaturgy, which encompasses original classical and jazz repertoire, contemporary compositions mostly dedicated to the ensemble, as well as a great number of transcriptions and arrangements of most diverse styles of music and genres, mostly made by Kateřina Pavlíková. Due to its wide-ranging repertoir, Bohemia Saxophone Quartet has performed not only in concert halls, but also in theatres and on alternative or jazz stages. The ensemble has performed at a number of prominent international music festivals, and was the finalist of IX. Concours International de Musique de Chambre de Paris. The ensemble has also toured widely, apart from many countries of Europe, Bohemia Saxophone Quartet has also performed in the USA, Israel, Jordan, Tunisia, Lebanon and Indonesia. Kateřina Pavlíková has collaborated with leading Czech symphonic and chamber orchestras. As a soloist she performed with Prague Philharmonia, Brno Philharmonic, Hradec Králové Philharmonic Orchestra, South Czech Philharmonic, Chamber Philharmonic Orchestra Pardubice, Bohuslav Martinů Philharmonic Orchestra, Berg Orchestra, Lviv Philharmonic Orchestra and other. Listeners can appreciate Kateřina´s performing qualities on the CD of Bohemia Saxophone Quartet History of Jazz (2009) and Saxcriptions (2005). She also plays on the CDs Homage to Jaroslav Ježek Rudolfinum Jazz Orchestra (2006), Jazz at Prague Castle of Štěpán Markovič Saxtet (2006), Just Floating Lightly by Petr Kořínek Jazz Orchestra (2004) and many recordings for Czech Radio. She is the teacher of saxophone at the Conservatory in České Budějovice.